Sunday July 20, 2014 - Like Charles Taylor like Putin. Pressure mounts on the former KGB chief and Russian leader Putin to rein in the Ukrainian separatists rebels and to allow investigators on the crime scene where nearly three hundred civilians were murdered. Thursday July 17 should have been like any other day as the world tries to grapple with the many problems facing mankind - from the wiping out of four children playing along the beach in Gaza in the unending strife between Hamas and Israeli forces to the Boko Haram militants bent on using murder as a calling card to their cause in Nigeria. It was on this day that a tragedy hit the world headlines as reports began filtering in of another Malaysian Airlines plane in grave trouble. As the details started emerging, it became clear that a Boeing 777 flying from Amsterdam to Kuala Lumpur - MH 17 - had been downed by missile/s believed to have been fired from a part of Ukraine that is occupied by separatist rebels enjoying the protection of Putin-led Russia. One BBC report states that - "Western countries have demanded that Russia put pressure on Ukrainian rebels to allow unhindered access to the site of Thursday's Malaysia Airlines crash. Dutch PM Mark Rutte said he had told Russian President Vladimir Putin that time was "running out" to show he could help. Most crash victims were Dutch. The US and Britain also told Russia full access to the area was needed. 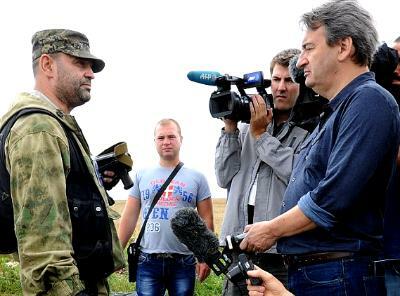 International observers have had their movements restricted by pro-Russia militiamen who control the crash site. Both Ukraine and the pro-Russian rebels have accused each other of shooting down the Boeing 777, which was flying from Amsterdam to Kuala Lumpur. 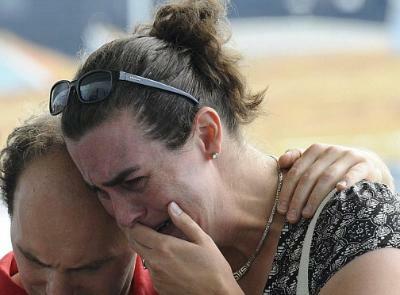 Flight MH17 was reportedly hit by a missile over a rebel-held area in Donetsk region on Thursday. All 298 people on board died. Experts in the various fields related to the disaster were quick to point out that the civilian passenger plane was downed by a missile system that was developed by Russia with speculations that it was the same missile system the separatist rebels had used to shoot down military planes from the Ukraine military forces. 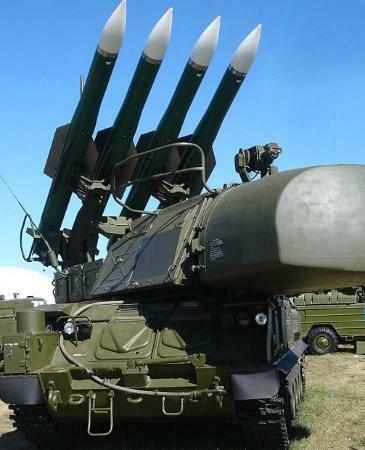 The main culprit, as far as missile systems go has been identified as a Buk SA-11 missile system that is in the arsenal of both the Ukrainian government and separatists. The international broadcaster Sky news had this - "An advisor to the Ukrainian government says it was a missile launched from a Buk SA-11, a Russian surface-to-air missile system used by both the Russian and Ukrainian militaries. There have been recent reports that there are SA-11 in the region. Justin Bronk, from the Royal United Services Institute, a defence think tank, told Sky News the SA-11 would be the most likely weapons system. The SA-11 is a tracked-vehicle with four missiles on top that can fire missiles up to 22,000 metres in the air, at a range of 20 miles (32km). Ukrainian separatists have used man-portable air systems - shoulder launched missiles that use infrared but have a limited maximum altitude, well below MH17's cruising altitude. The SA-11's radar can scan 360 degrees. When its crew detected MH17 at around 53 miles (85km) away they would have had between five and 10 minutes to acquire the plane, fire a missile and relocate. The Buk uses radar, not infrared. It would be difficult to mistake a fighter jet for a passenger plane. But military transports - which have been targeted recently - do look similar. The crew might have been aiming for a different plane in the area, and locked on to the MH17 by mistake, or locked onto MH17 believing it to be a transport. Once the missile was fired, the crew would relocate immediately, as the powerful radar would give away their position. Some airliners flying in conflict zones have missile warning alerts. Cruising along at what they thought was a safe altitude - even over a dangerous area of Ukraine - MH17 likely did not. The pilots and crew would probably have had no indication a missile was coming. The missile would not have flown directly into the jet, but drawn up close beneath it, then detonated. However, engineer Daniel Holland told Sky News the wreckage looks more consistent with a missile impact to the tail or wing, given the spread of debris. The Pentagon has satellites looking down over Ukraine. They will now be looking for the flash of the launch - and the radar signature of the Buk, which is highly unusual for the region. Meanwhile reports from the crash site indicate that separatists have been busy trying to hide all traces of their involvement in the murder of nearly three hundred civilians whose only crime it would seem was to have been passengers in a plane flying over Ukrainian air space. The Dutch and other authorities have complained that bodies are being removed in a disrespectful manner with international observers prevented from sealing off what must now be a crime scene that is some eight square miles. Reports also talk of looting by armed separatists whose troops have been going through the possessions of the dead. Western countries including the United States and the United Kingdom have called on Russia to do all what it can to help in the investigations. Former KGB chief President Putin has so far only expressed sympathy at the loss of lives, but is reported to have put the blame squarely on the government of Ukraine even as pressure mounts on him to do and say more than he is willing to give away. Indeed Putin's role in the Ukraine crisis could be likened to that of Charles Taylor and the killers and human rights abusers in Sierra Leone during our troubles. While Taylor pretended to be the statesman who could broker peace with the rebels, it was not lost on many that in reality, it was he who was giving orders to the rebels and as pressure mounts, it would not be that surprising to hear quite soon that Russia has taken a direct role in ensuring that the crime scene is preserved - after covering up any links to Russia. A well-nigh impossible task given the technology now available in forensic investigations. The call came as international monitors said pro-Russian gunmen were barring them from approaching some of the wreckage of flight MH17, which is believed to have been shot down by a surface-to-air missile in eastern Ukraine on Thursday. The separatists have taken away 38 bodies, sparking anger from the Netherlands, whose dead account for two-thirds of the total. The Ukraine government said militiamen had taken them to the rebel-held city of Donetsk with the assistance of specialists with “distinct” Russian accents. Ukraine also accused Russia of helping rebels destroy evidence at the site. Dutch foreign minister Frans Timmermans said the country was “angry, furious” that bodies were being dragged around the site. The aircraft’s “black box” flight recorders have yet to be found and the rebels said they had not been located. This denial came despite an aide to rebel leader Aleksander Borodai saying on Friday that authorities had recovered eight of 12 recording devices from the plane. However, aviation experts do not expect that the flight data and cockpit voice recorders will provide much information about how the plane was brought down. Ukraine’s chief of counter-intelligence said it had “compelling evidence” that the crew of the missile launcher believed to have shot down the plane is Russian. Meanwhile the Australian Broadcasting Corporation network, ABC is reporting on the country's contribution to a draft of a UN Resolution on the crisis - "The United Nations Security Council is considering a resolution drafted by Australia to condemn the "shooting down" of the Malaysian passenger plane in Ukraine, demand armed groups allow access to the crash site, and call on states in the region to cooperate with an international investigation. All 298 passengers and crew on board Malaysia Airlines flight MH17 were killed when the jet was shot down by a surface-to air missile as it flew over eastern Ukraine on Thursday (local time). Pro-Russian rebels in eastern Ukraine have reportedly said they will guarantee the safety of international monitors at the crash site if the Ukrainian government agrees to a ceasefire. However, the site remains unsecured with locals starting to move the bodies. Miners from eastern Ukraine have been told to go to the crash site and help with the recovery efforts, but where the bodies are taken is not yet clear. For now the bodies are laid out in an orderly row. The site is controlled by the Russian separatists suspected of shooting down the plane and they are restricting international observers at the site. Local police are taking notes and photos, but are not under the control of the Ukrainian government." In the meantime, UK Prime Minister David Cameron writing in one of the UK's leading newspapers has said that while he does not want confrontation with Russia, he would like to see the European Union putting more effective sanctions in place for Putin's apparent intransigence.